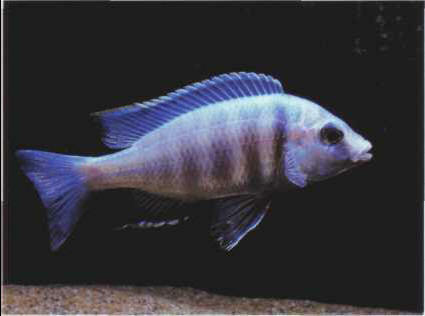 This species (deepwater hap) feeds on tiny particles which it extracts from the substrate by filtering it with its mouth. The eggs are laid in a burrow dug into the sand, with the female incubating them for 8 days in her mouth. The fry leave their refuge after 2 weeks. Size: 15-20 cm.